The Aristocrat alludes to the dreams of grandeur motivating migrants to move to affluent places. 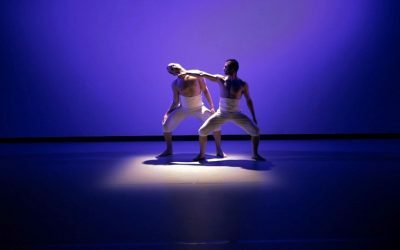 Echoing these dreams and the reality check, this work proposes an intense conversation between a male dancer, 3 drummers and a cellist through orisha dances, ballet and contemporary movement. Artistry and Artivism meet across Nuevas Fronteras! Shamanix is a process: 500+ Macho Power and Xochipilli-Corn man 3.0 are only two parts of the journey. 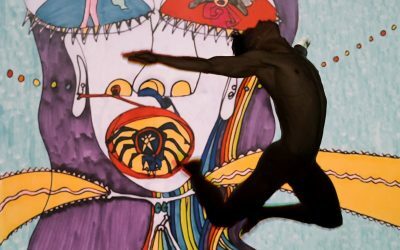 Highly interactive, this piece expresses the theme of inherent relationship between opposites through contemporary dance, video animation, electronic soundscape and spoken word composed in real time from impressions communicated by the audience. 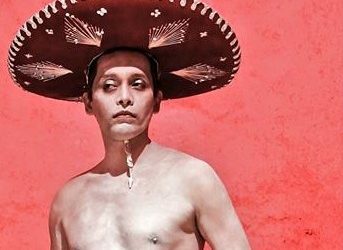 In this contemporary choreography filtered through ballet and Cuban traditional dance, music, religion and daily rituals, Julio Hong questions pervasive notions of masculinity and the contradictions of the metro-sexual man. 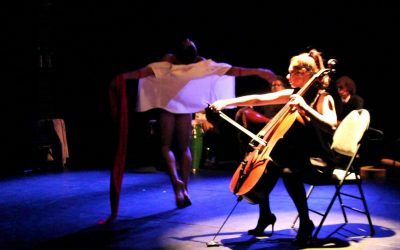 This concentrated trilogy about violence and trauma unfolds through drama and dance as 3 artists interweave their personal history to create healing and hope. An on-stage emotional bungee jumping.